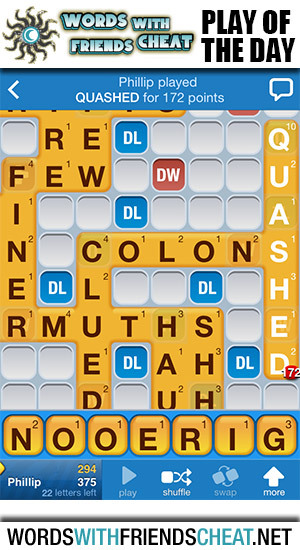 Today’s Words With Friends – Play Of The Day is QUASHED (172pts) and was submitted by Words With Friends Cheat user Phillip. Everything that could have gone well here did. Phillip used all seven letters in his rack, activated a triple word, and placed a ten point tile on a triple letter space.